WOW CARFAX RETAIL $17,160!! 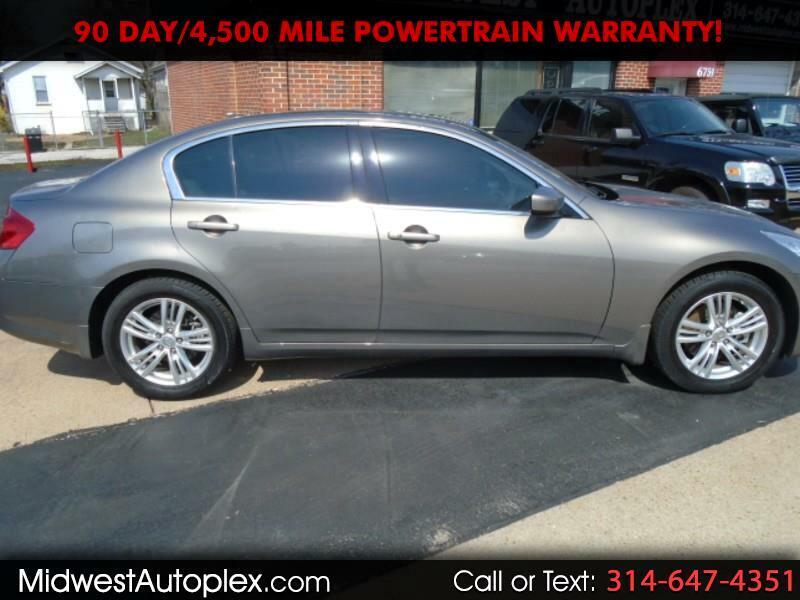 Check out this 2010 Infiniti G37x AWD Sedan w Heated Seats and Navigation! It's one of the most popular Infinity models out there, it's proven to be safe, reliable and an excellent investment--a proven value you'll love. Make it yours before it's gone! ONLY 39K miles, Clean title, This Vehicle was bought with HAIL Damage and HAS HAIL DAMAGE estimated at $2,500. NO ACCIDENTS, good service history. Nicely equipped with alloy wheels, heated leather seats, sunroof, navigation, backup camera, bluetooth, BOSE sound, smart key and more. Safety and Emissions Inspected, AutoCheck Clean! Just e-mail us for a FREE copy. A+ rated by Better Business Bureau. Our Clients are extremely important to us and it shows, EASY No Haggle Price! Financing Available (W.A.C.) at 5.5%. NO MONEY DOWN. Midwest Autoplex makes car buying easy and hassle-free. Our upfront prices are the same online and on our lot. Car shopping should be fun and easy. At our lot it is! Our set prices mean you'll never have to haggle and you can concentrate on finding the right car for you. We stand behind each and every used car we sell with a 90-Day Limited Warranty. -1 Price used vehicles, no haggle, no pressure.